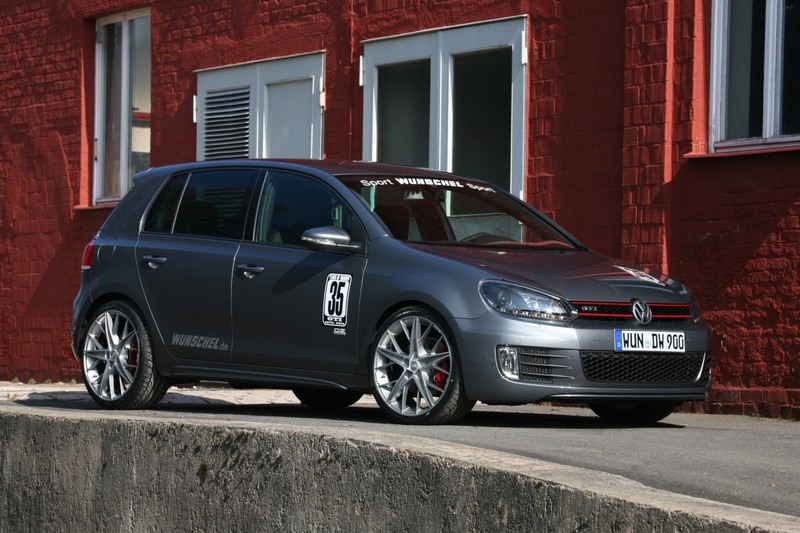 Η Volkswagen είχε βγάλει το Golf GTI Edition 30 για να γιορτάσει τα 30στα γενέθλια του Golf GTI αλλά για τα 35τα δεν ανακοίνωσε κάποιο μοντέλο παραγωγής πέρα του αγωνιστικού Golf24 Έτσι ο γερμανικός οίκος Wunschel Sport ανακοίνωσε ότι ετοίμασε το VW Golf GTI35 το οποίο βασίζεται πάνω στην 6η γενιά του GTI και σε σχέση με το εργοστασιακό μοντέλο αποδίδει επιπλέον 50 άλογα παραπάνω, φτάνοντας τα 260 με 360 Nm ροπής. Τα 0-100 χλμ/ώρα τα κάνει πλέον σε 6.4 δευτερόλεπτα (από 6.9 δευτ) με την τελική ταχύτητα να αγγίζει πλέον τα 255 χλμ/ώρα, 17 χλμ/ώρα περισσότερα σε σχέση με το εργοστασιακό GTI. Στιλιστικά έχει τοποθετηθεί διακριτικό bodykit, χαμηλότερες αναρτήσεις και 19αρες ζάντες “Quaranta” της OZ με ελαστικά 235/35. Η τιμή του ανέρχεται στα 32.800 ευρώ και μαζί με αυτό θα πάρεις ένα συλλεκτικό μπλουζάκι, ένα μπρελόκ αλλά και μια στρατιωτικού τύπου ταυτότητα. Most legends have one big drawback: They normally are long dead. 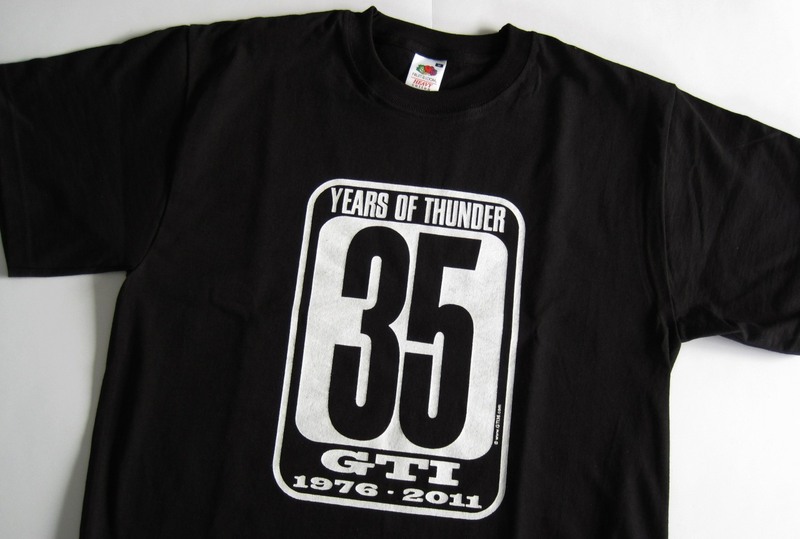 But one automotive legend turns 35 this year and is as alive and well as ever: the VW Golf GTI! To celebrate this anniversary GTI35.com has designed an exclusive titanium-colored special model based on the current sixth generation of the GTI. The German tuning experts from WUNSCHEL SPORT equip this car with a performance-tuned engine with 260 hp / 191 kW of power and a peak torque of 360 Nm. Custom-tailored 19-inch OZ Racing Quaranta wheels and a ride-height lowering calibrated to the high-performance tires further contribute to the improved driving dynamics. A thrilling GTI35.com outfit with a racing-look decor kit, lightweight aluminum key chain, GTI35.com parking sign and a GTI35.com T-shirt and dog-tag for the driver rounds out the special model. The two- or four-door edition car starts at EUR 32,800 (including 19% VAT in Germany). More information is available at www.GTI35.com. 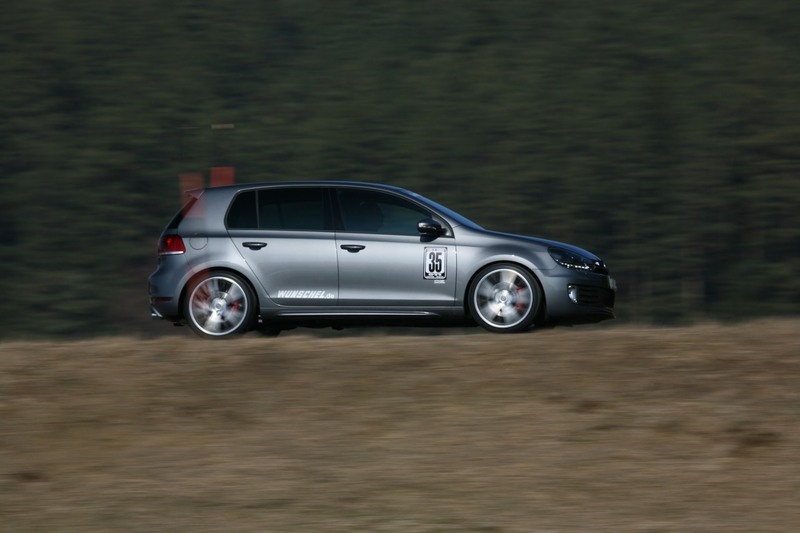 The first VW Golf GTI invented the class of sporty compact cars in 1976. Today, 35 years later, the sixth generation still sets the class standards. 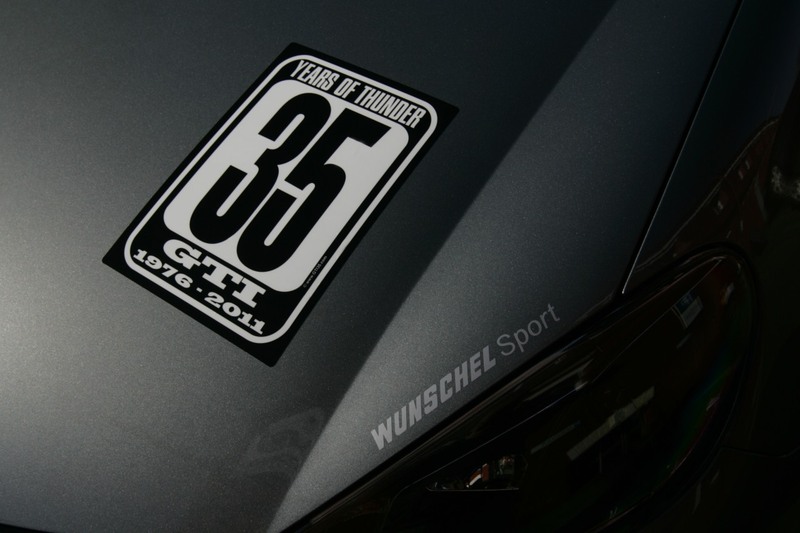 For the anniversary there now is an exclusive special model from GTI35.com, for which WUNSCHEL SPORT served as highly competent tuning partner. 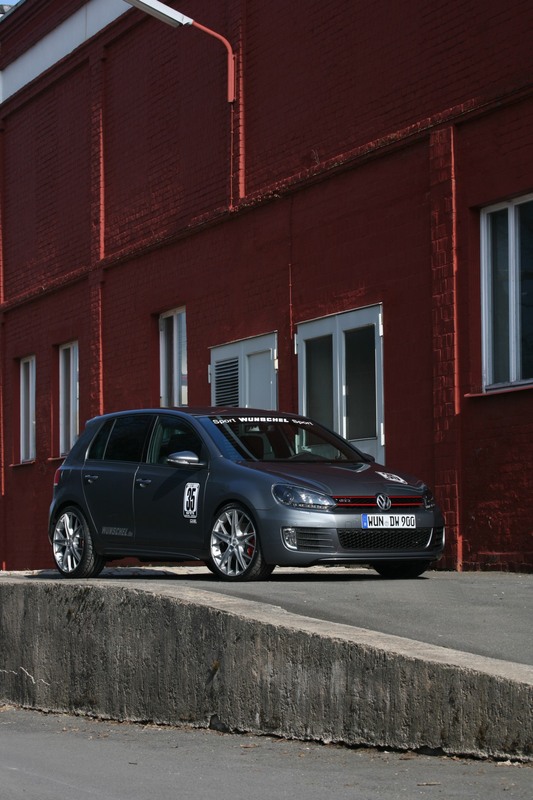 Because power is not a sin, particularly in a GTI, the professionals from Röslau in Bavaria add another 50 horsepower to the power output of the four-cylinder turbo engine. A newly calibrated engine management system bumps power output of the direct-injection engine from standard 210 hp / 154 kW to 260 hp / 191 kW at 5,700 rpm. Simultaneously peak torque jumps from 280 Nm to 360 Nm, available on a plateau between 2,600 and 5,100 rpm. Driving performance benefits accordingly: With a sprint time from 0 – 100 km/h of 6.4 seconds the GTI35.com speedster with six-speed DSG dual-clutch transmission bests its production brethren by approximately half a second. Top speed increases to 255 km/h. This means the anniversary model is not just some 15 km/h faster than the production car; it also shames much more expensive sports cars and luxury sedans. 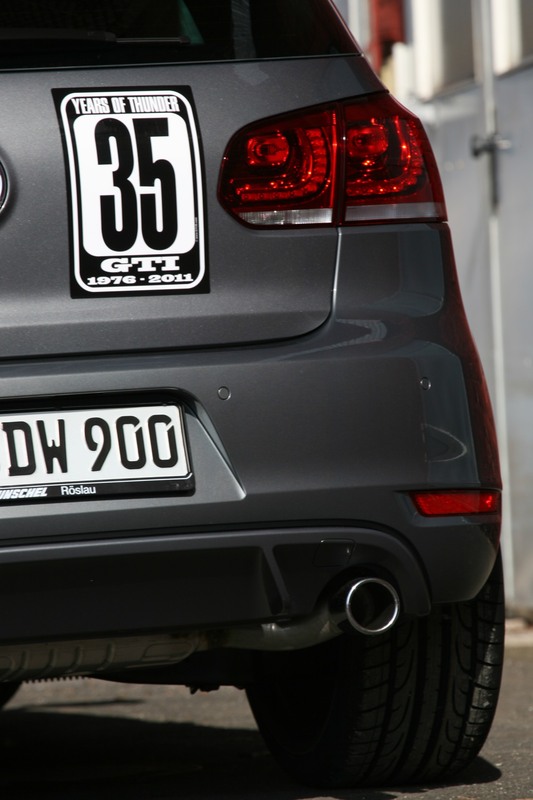 GTI35.com emphasizes not only speed but also more driving fun through even more agile handling. Formula 1 supplier OZ Racing contributes its brand-new Quaranta wheel in size 8.5Jx19. With this alloy wheel the Italian manufacturer celebrates its 40th anniversary in 2011. These wheels are mounted with size 235/35 ZR 19 high-performance tires and make perfect use of the available space in the wheel wells. 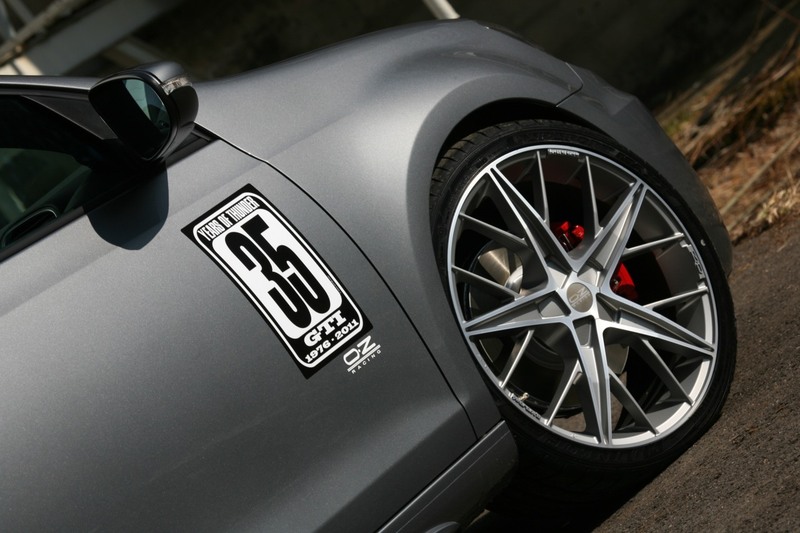 The OZ wheel is also the perfect visual fit for this car thanks to its especially innovative styling featuring an offset combination of five-spoke and cross-spoke designs. It is painted exactly the same titanium shade as the exterior of the GTI. The precisely matched color scheme is rounded out perfectly with titanium-colored body parts such as the inner sections of front and rear spoiler and the rocker panel trim, which are matte black on the production car. 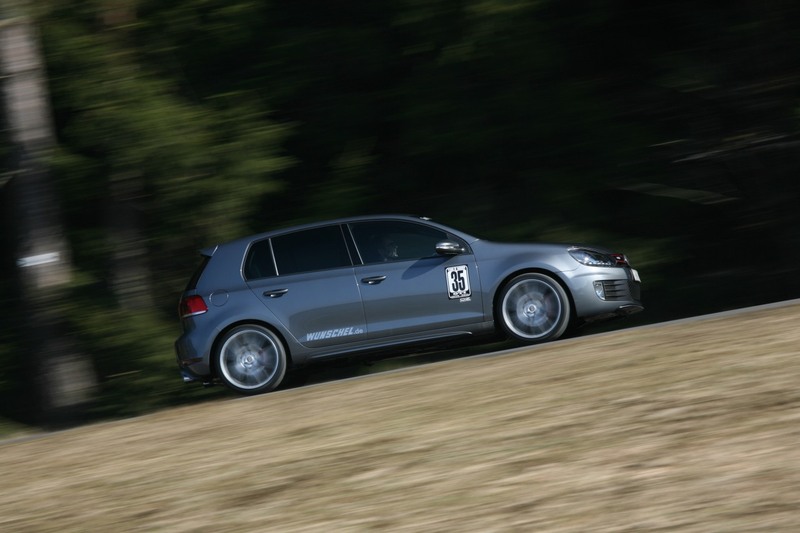 A lower center of gravity, high-performance tires and a wider track all contribute to improved driving dynamics. 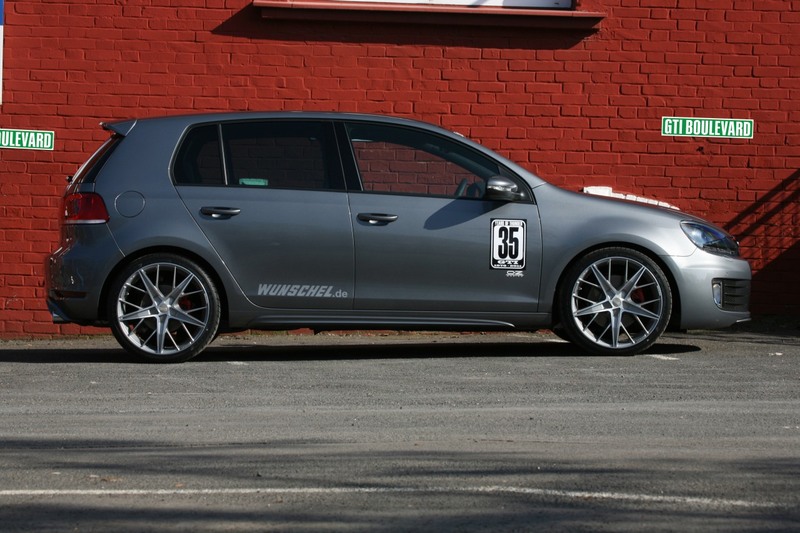 The WUNSCHEL SPORT springs are calibrated to the production shocks and lower the ride height of the special model from GTI35.com by some 25 millimeters. 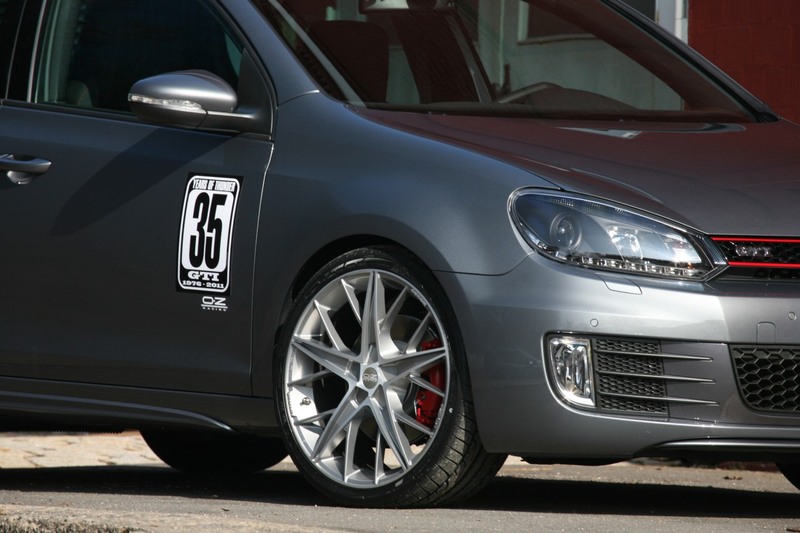 In addition to the king-size OZ wheels the GTI35.com is further distinguished by a décor with a true racing look that further increases the eye-catcher effect of this exclusive special model. 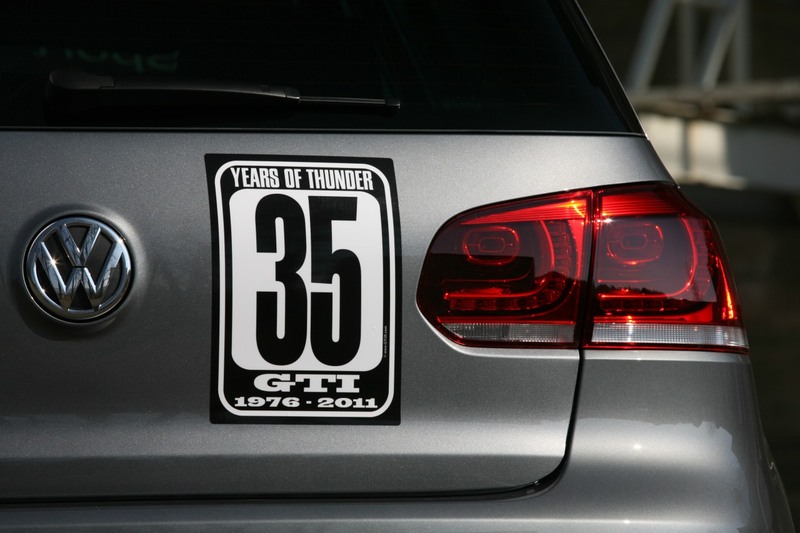 The starting-number design featuring the number 35 on the hood, doors and liftgate commemorates three-and-a-half decades of the Golf GTI. 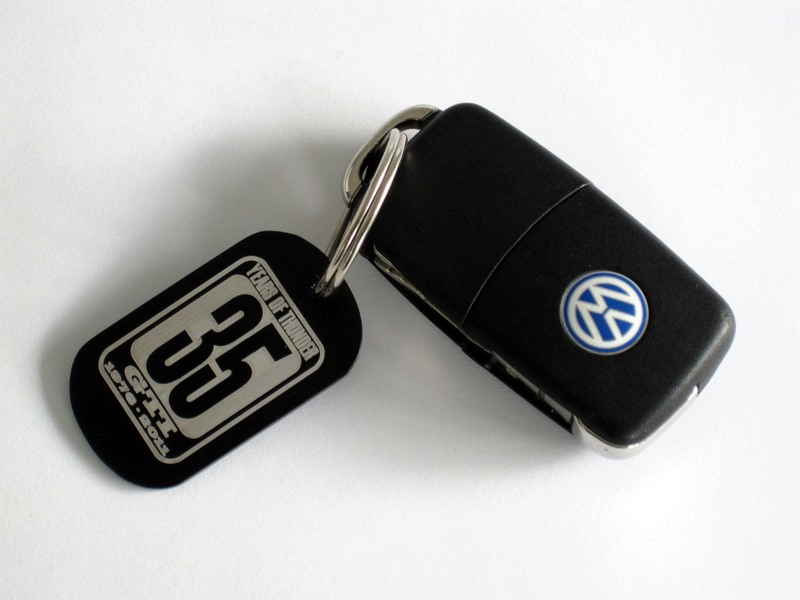 Other special-edition features are the GTI35.com lightweight aluminum key chain and the GTI35.com parking sign that reserves the parking space for this unique automobile at home. 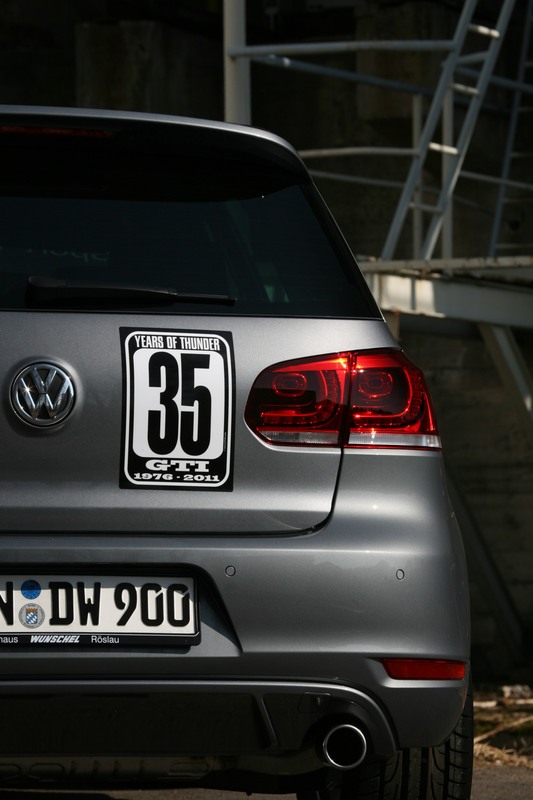 The owner of this car also receives a high-quality GTI35.com T-shirt and a GTI35.com dog-tag. 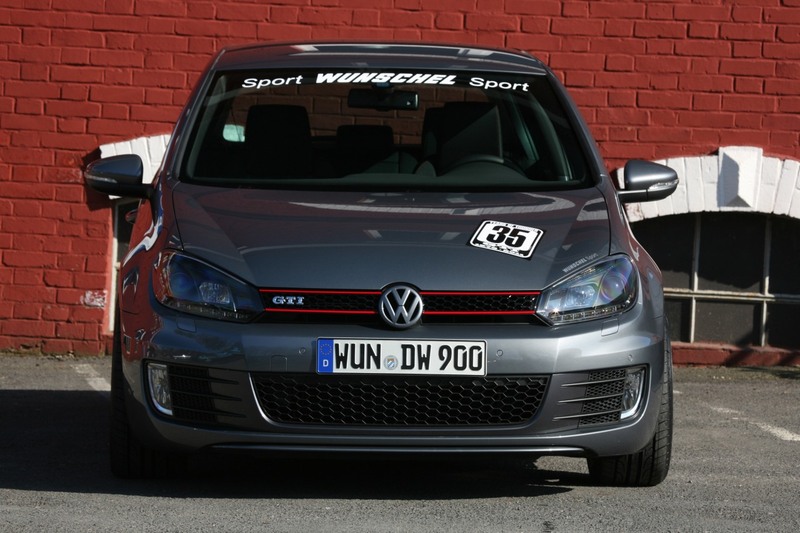 The special model from GTI35.com is sold as a complete car starting at EUR 32,800 (including 19% VAT in Germany). 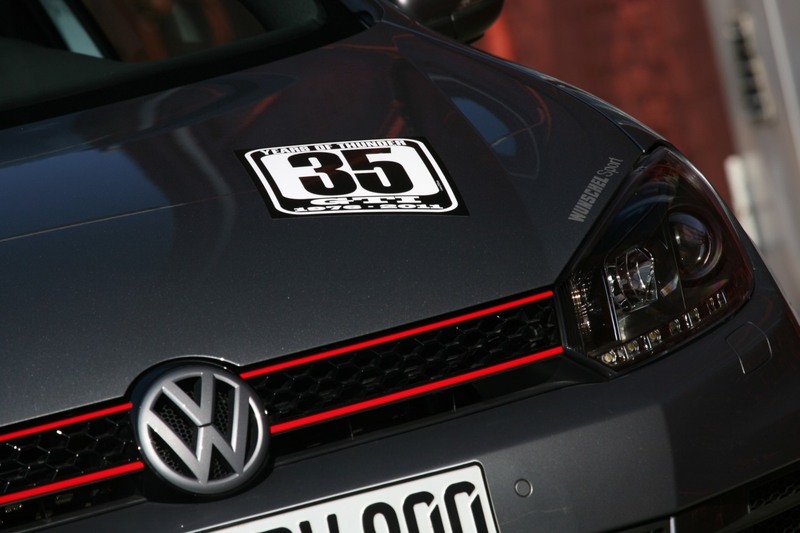 All tuning components and the GTI35.com accessories are also available separately. 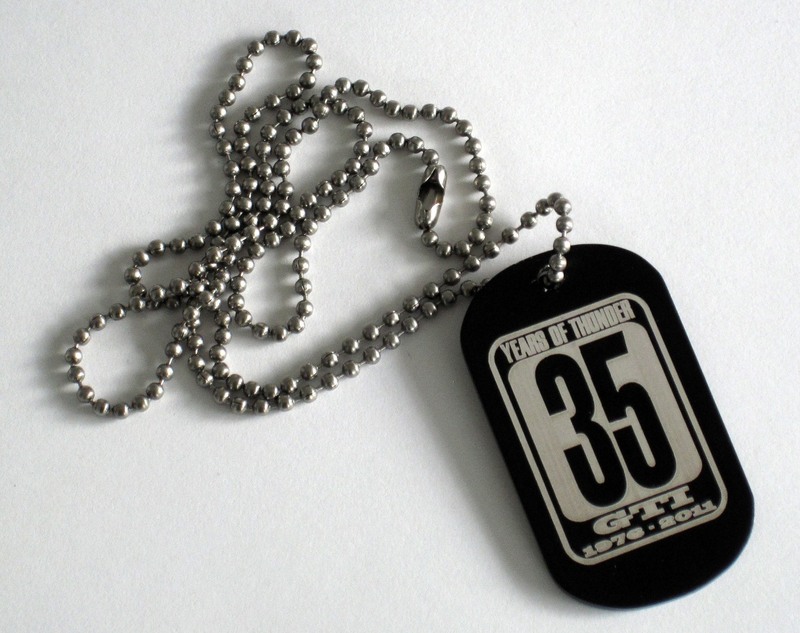 To find out where to purchase, please visit www.GTI35.com.